"Dr. Broker cured my sinus problems. The office staff was very helpful." "Dr. Broker took the time to listen and made me feel comfortable." "I had surgery, very happy with results. 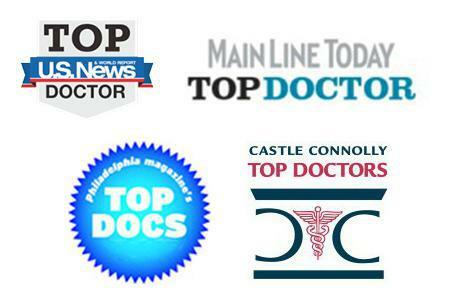 I highly recommend Dr Broker." "Dr. Cramer is an excellent doctor. He was thorough, listened to my issue and history." "I had a very positive experience with Dr. Cramer in the Bryn Mawr office." "I absolutely love Dr. Cramer. Thank you so much Dr. Cramer." "Dr. Swanson and the staff at the Pottstown office were very friendly and knowledgeable." "I have recommended Dr. Swanson to all my friends and family that need an ENT doctor." "Dr. Swanson was extremely patient and concerned with my worries." Dr Broker is amazing! He is professional and diagnosed my problems with just a quick talk"
"Dr. Cramer listens to you and is great at explaining things." ENT and Allergy Specialists believes in building strong relationships with patients and providing the best care for each individual. The practice serves the local communities of Bryn Mawr, Pottstown, Phoenixville, and East Norriton, Pennsylvania. Specializing in ear, nose, and throat problems, they treat a wide range of conditions, including allergies, sinus disorders, throat problems, and hearing loss. With care for people of all ages and a staff of board-certified physicians, the practice uses the latest technology and offers highly specialized surgical procedures to achieve the best outcomes. Built on a commitment to good communication, personalized care, convenience, and accessibility, the practice has a stellar reputation with both patients and other doctors in the community. There is a staff member available 24/7 to answer questions, and same-day appointments provide the quick and efficient care people need when it counts the most. Most importantly, all the physicians and staff at ENT and Allergy Specialists truly care about keeping patients informed and comfortable with every aspect of their care. We participate with the following insurance providers, however please familiarize yourself with your specific coverage to understand your payment obligations and required referral forms. Why choose a Pediatric ENT Doctor? "I had nasal surgery by Dr. Cramer. He was professional, caring, and informative before, during, and after my surgery. I would highly recommend him." "I was so pleased with everyone I dealt with from my first call to my follow ups. Dr. Cramer diagnosed my problem in the first visit." "Amazing experience. I was well informed and Dr. Broker spent as much time with me as I needed." "I visited Dr. Cramer. He came in like a breath of fresh air. Dr. Cramer is the best and I would highly recommend him. I plan to visit him again in a year." "The staff fit me in to see Dr. Cramer the very next day! He was very attentive, did not rush through the appointment and as usual, identified the problem." "My Dad saw both Dr. Swanson and Dr. Nadeau this week in the Pottstown office. Both doctors were kind and caring. They explained everything in detail." "Dr. Broker is an excellent doctor and surgeon. He takes the time to explain everything and makes sure he has answered all questions." "I have been a patient of Dr. Cramer's for many years and my experience has always been great. Dr. Cramer is knowledgeable and friendly." "Dr. Swanson was extremely patient and concerned with my worries. He fully explained what he thought the issues were." "My appointment with Dr. Broker was amazing. He is a professional, respected, and skilled physician. Loved it!" "Dr. Broker is an excellent doctor and surgeon. He takes the time to explain everything and makes sure he has answered all questions before you leave the office." "Always courteous and efficient, Dr. Broker takes the time to explain things in a language that I can understand. He is a very skilled surgeon." "Dr. Cramer came in like a breath of fresh air. I could immediately tell that I was in good hands. He is the best and I would highly recommend him." "I am very pleased with Dr. Cramer and his staff, I wish all of my medical providers were as capable and compassionate!" "I have been a patient of Dr. Cramer's for many years and my experience has always been great. I've had only positive experiences!"